Unless you’ve been living under a rock for the last 9 months, you’re probably aware that the US and China have been approaching a full-scale trade war, imposing progressively larger tariffs back and forth on one another. If the trend continues, come January 2019, there will be tariffs in place on nearly all Chinese goods imported into the US, and vice versa. Similarly, we have imposed tariffs on some Canadian and Mexican goods, and they have followed suit. We’re not here to argue whether this approach is right or wrong – we’ll leave that to the economists and pundits on TV – but, we are here to discuss what, if any, impact these tariffs will have on your restaurant. 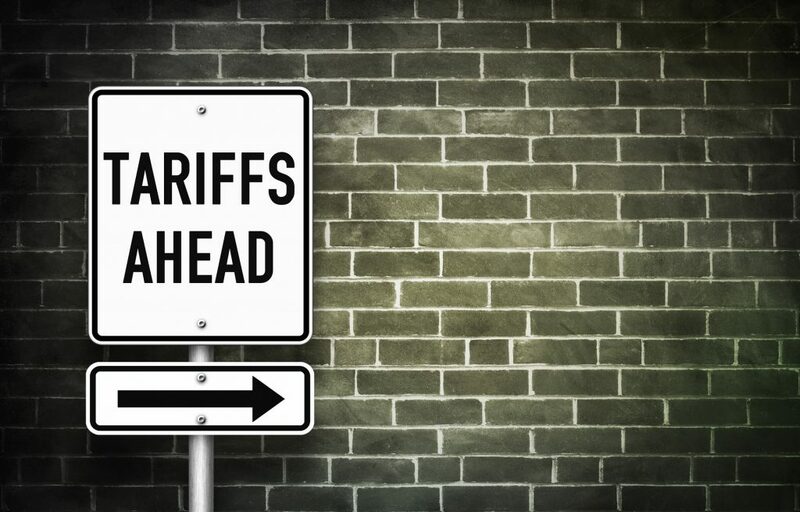 When countries impose tariffs, they can take one of two approaches: a shotgun blast tariff on all goods across the board; or, more commonly, a scalpel approach that targets certain industries to inflict maximum economic, or political, pain. For example, in this latest round of tariffs, the Chinese approach has been to target the US agriculture industry, which makes up a large percentage of the US economy and happens to be highly representative of the current administration’s voter base in rural America. What Do Tariffs Have to Do with the Restaurant Industry? So, how exactly do tariffs affect the restaurant industry? I mean, nobody is exporting a steak dinner to Canada; Uber Eats isn’t bringing a Primanti Bros. sandwich to Beijing? Isn’t the highly localized restaurant industry immune to tariffs? You might think so, but you would be wrong. Sure, the outputs of restaurants – food – are, by and large, safe from tariffs. But, what about the inputs? What about the corn, onions, and avocados that we import from Mexico? Or, the farm raised salmon, shrimp, or catfish that come from China? Are you starting to see how tariffs could affect your business? Unless you source all of your foods locally, chances are you will feel the pinch. Very few industries exist in a vacuum, but even fewer have the economic reach of the agriculture industry; when US farmers start to suffer, it ripples across the entirety of America. After all, we all have to eat. In the short run, the recent tariffs could actually lower restaurants’ food costs. Lower overseas demand could lead to a supply glut, with farmers and distributors having to lower prices to get rid of inventory. If the tariffs from China turn out to be permanent, however, farmers will cut back on production and many will go out of business, which means the supply of domestic food will go down and prices will rise. In addition to fluctuating prices, tariffs could lower the supply of seasonal foods. Tomatoes are one example. In the summer months, tomatoes are grown domestically, even locally. But, in the off-season, most tomatoes come from Mexico, where they are grown year-round. In fact, According to the U.S. Department of Agriculture, Mexico produces 70% of our vegetable imports and 40% of our fruit imports. The only tariff on Mexico right now is on aluminum and steel, but if it were to devolve into a trade war like it has with China, then seasonal items like tomatoes could become more expensive and difficult to source during the offseason. Does your restaurant or bar serve beer in cans? Did you know that the price of aluminum has risen 31% so far this year due to the tariffs on China and Mexico? Do you use cloth napkins, table linens, or uniforms in your restaurant? Do you know where they’re made? If their made in China (many are), they are subject to the tariffs as well. The price on Chinese exported steel, aluminum, and wood furniture has gone up 10% so far this year, with an additional 15% expected on Jan 1, 2019. Furniture, like many other manufactured goods, is getting hit twice, with Chinese tariffs on raw materials from the US, and then US tariffs on finished goods from China. Note: Many furniture suppliers have already raised their prices, but East Coast Chair & Barstool has held prices steady on our products, as of 11/20/2018. What Can Your Restaurant Do to Lessen the Effect of Tariffs? Reshape your menu: Focus on items that are in-season in your area, or at least are grown in the US. Your costs will go up, and your prices will probably have to follow, but studies have shown that consumers are willing to pay more for locally sourced foods. Lower operating costs: If food costs are going up, and you feel pressure not to raise prices, then you must cut costs somewhere or your profits will suffer. Fortunately, there are likely some ways that you can reduce your operating costs with a little additional effort. Here is a great list of 50 things you can do to cut costs in your restaurant without sacrificing customer experience. Be Proactive: We know that there is potentially another round of 15% tariffs on imports from China coming in January 2019 (unless a deal is reached before then), so there is still an opportunity to make any large purchases before then and avoid paying more. Operating in an environment of increasing tariffs can be challenging, but the effects will be felt industry wide, so the playing field is level. If you have any creative ways of successfully navigating the tariffs, please feel free to share in the comments below.